Can Humor Help People Heal Even About the Holocaust? 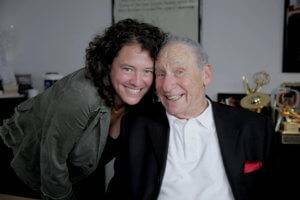 Credit: Photo courtesy of “The Last Laugh”Filmmaker Ferne Pearlstein and comedian and writer Mel Brooks, creator of “The Producers,” the classic comedy about a Nazi-themed musical. It was 1991. Art Spiegelman had just released his groundbreaking graphic novel Maus. 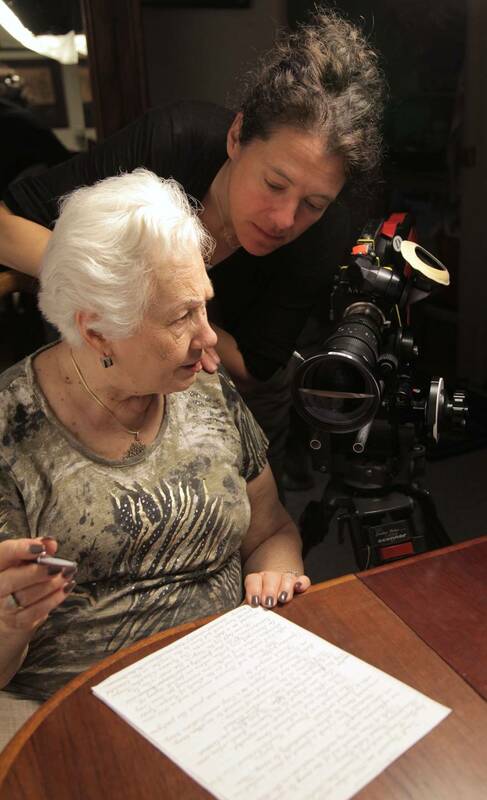 And filmmaker Ferne Pearlstein was about to get an idea that would buzz around in her mind for 20 years before coming to fruition. Pearlstein was taking a group tour of Miami’s then-new Holocaust Memorial with a friend — led by an elderly Holocaust survivor — when Spiegelman’s book came up in conversation. That spurred an idea that would eventually become The Last Laugh, a documentary which premiered April 24 on PBS’s Independent Lens: Can something as tragic and traumatic as the Holocaust ever be joked about? And can humor help people heal, even when the wounds are deep? When Pearlstein ran into her friend a couple years later, he had written a long paper on the topic. “He handed it to me in 1993 and said, ‘Make this into a movie,'” she said. For more than 10 years, Pearlstein kept the project on the backburner — for a topic like this, the timing needed to be perfect, she said. In 1997, the film Life is Beautiful came out, and Pearlstein said she worried it would be too much to release the documentary on top of it. It exposes something and it helps heal and it also keeps the topic alive, with Holocaust deniers out there. Jewish comedic legends Gottfried, Mel Brooks, Rob Reiner, Sarah Silverman, Alan Zweibel, David Cross and Susie Essman (and many more) are all featured in The Last Laugh, each waxing philosophical (hilariously, of course) about what’s okay to joke about and what’s not. Spoiler: The line between hilarious and offensive, or lack thereof, is different for everybody. It’s all about intent. (And whether your jokes are actually funny, the comedians said.) For example, Brooks is probably most famous for lampooning Hitler in The Producers, a film about a Nazi-themed musical, but won’t joke about the Holocaust itself. How hard was It to get comedians to talk about the Holocaust? It varied — wildly. Reiner “agreed to do it right away,” Pearlstein said. The comedians’ analysis gets a real-life face via 93-year-old Renee Firestone, a Holocaust survivor who believes that laughter is necessary for survival and healing — although she does have a discerning ear when it comes to what’s funny and what’s not. (Firestone watching Jewish and non-Jewish standup comedians attempting bits about the Holocaust and Hitler — and judging them — is one of the best parts of the film.) Even when she was in Auschwitz, separated from her family and subjected to the unthinkable, she said in the film, the prisoners found ways to make each other laugh. Zweibel said he was “just blown away” when he saw the film for the first time. At many screenings, he said, viewers were left in stunned silence after the credits rolled. The Last Laugh doesn’t provide an answer to a question so much as it opens the door for a discussion. Every person in the film — comedian and non-comedian alike — had a different take. “I always feel that as far as going too far is concerned, if the tone is sincere, if the tone is not manufactured, you can basically take an audience wherever you want because you hook into your sincerity about it,” he said. One of Pearlstein’s favorite moments in the documentary is when Firestone is talking with another Auschwitz survivor, Elly Gross, at a survivor convention in Las Vegas. Gross said she doesn’t believe joking about the Holocaust is ever okay, and that “the shadow (of the Holocaust) is following me all my life,” preventing her from fully appreciating the fact that she survived. One of the most gratifying experiences for Pearlstein since the film was released was Gross’ reaction to it. Pearlstein was pretty nervous about Gross seeing it, she said. If done correctly, humor has the power to continue the discussion about difficult topics, Zweibel said. And it will always be a tool to critique the powerful and shine light on injustice. Watch The Last Laugh on Independent Lens on PBS.org. Or check your local PBS station’s schedule for broadcast dates and times. Why Can’t Norman Lear Get a Retirement Home Comedy on TV?